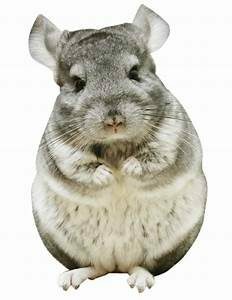 Chinchillas have 32 hairs per pore. That’s why they’re so incredibly soft. Jillions of pores, 32 hairs shoved into each follicle. Never mind that the individual hairs are thread-fine, because there’s 32 in a hole. I mean, come on…little critter will make it through the winter just fine. Myself, I’m an anti-chinchilla. Thousands, not jillions, of pores on my cranium; 1 thread-fine hair per every-third-or-so hole. I could bait a bass — wrap a hair around an enticing bit of bass bait, dunk it into the water, catch a fish every time. Why? Because the bass couldn’t see the fishing line. Plus, unlike rodentia, human woman hair thins over time. De-LIGHT-ful, I can tell you. Interesting story. And I blame beautiful Annette Bening. See, I spent New Year’s Eve alone. The Bubs was with his cousins having the time of his life, celebrating the year’s rollover with various video gaming systems and video gaming accessories. I feel confident I pointed at the ceiling with my declaration. First in the queue: something I don’t remember, but feel like it was okay. Second: an Ed Harris/Annette Bening flick that began sad and only deepened into darkness over the duration of about twenty minutes. Time on the clock: 11 something. Thus, time to break out the champagne and watch these lovely actors, though their story was so very, very sad. “It can only get better,” I told myself. Halfway through the tiny bottle — yes, I’m a lightweight — I found myself stopping the stream in order to take still photos of Ms. Bening’s gorgeous locks and text the pics to my mother. “Sure! You’d look great!” Mom replied, or something like that. Something equally supportive, because she’s my biggest cheerleader. “Sure I could,” I told myself. then I hit Play, drank another swig, pulled my ottoman a tiny bit closer to the TV screen. The movie grew increasingly sad; the wine mysteriously disappeared. I could pull that off, I thought. Then my eyes slid to the right, where I keep my art supplies and favorite pair of scissors. I could even save forty dollars, I continued, ogling the orange-handled quilting shears while slugging back the drippings of wine. “Have you made an appointment yet?” Mom queried. “Not yet,” I responded, thinking, “Hey! I don’t need anyone else! I can do this! How hard can it be? Scissors! Right there! But, like a cat with a laser pointer, I was distracted by the flicker of light at the bottom of my exceedingly small bottle of sparkling vino, and then by the climax of the movie, which left me a sobbing, dripping mess. Scissors? Forgotten, due to sudden onset of temporary depression. Thus, I put the bottle somewhere — hmmm, truly, I wonder where that somewhere might be?? — crawled onto my bed to fire up the next cinematic adventure, and promptly fell asleep. The next morning — or a few hours later; who knows? — I woke to violently slap myself about the temporal lobe thinking I’d chopped my hair in the night. But all twenty-five strands remained in place. My phone dinged, announcing a new Mom text. I hid my scissors far, far away from my television. This entry was posted in Prairie Life and tagged #worthwritingoutloud, Annette Bening, haircut by michelleferg. Bookmark the permalink.